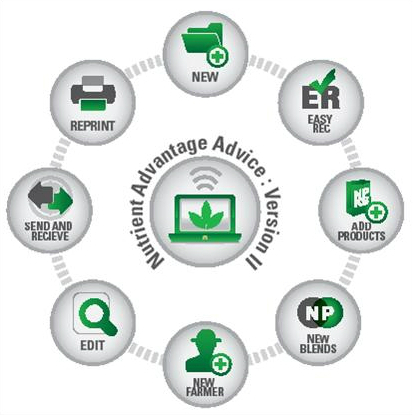 Nutrient Advantage Advice (NAA) is purpose built decision support software designed to assist with the interpretation of soil, plant & tissue sample results and development of nutrient recommendations. We take the hassle out of calculating the optimum nutrient requirements for your crops. Nutrient Advantage Advice was launched in May 2007 and currently has over 1000 registered users, the NAA system is also Fertcare accredited. Because ‘rules logic’ is used, with a few simple key strokes advisors are able to run entirely new recommendations within crop segments. Optimise your customer’s investment on fertiliser – as they apply only the nutrients the crop needs based on the analytes and targeted yield. Provides high levels of excellence in information to advisors to aid fertiliser input management decisions.